All mandrel bodies have internal threads at the end opposite of the nose in order to attach the mandrel assembly to the mandrel rod. The mandrel thread specification typically varies with tube diameter. 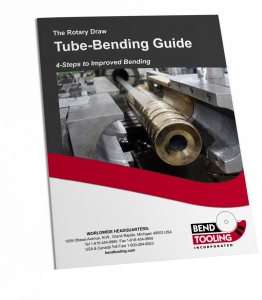 Although there is no official standard, some common relationships have developed over time for non-metric tube-bending machines. For tube diameters around 1″, 1/2″-13 UNC threads are typical, from about 1.25″ to 1.375″ 5/8-11 UNC, and from about 1.5″ to 3″ 1″-8 UNC.